It is a good question to ask ourselves “How did we get there?” and reflect on our professional and personal growth and development. Objective analysis and reflection on what we are doing in order to evaluate our progress and weaknesses as well can be quite helpful. In my opinion, it can work for universities too because they established many centuries ago and we are going there to obtain knowledge without considering another side of the coin as a history of the universities development. First thing which should be said is the unchangeable goal of the Higher Education Institutions (HEI) over the centuries to be conveyor of knowledge, to provide education (Rothman, 2010; Dobbins, 2011). Undeniably, in accordance with the needs of the world and society there are always changes and transformations of the missions, visions and objectives of the HEI, however the primary goal is to provide knowledge. The education system of ancient times and civilizations such as China, Islam and Roman Empire were familiar with the teaching/learning techniques throughout centuries. However, “the medieval universities of Europe were the sole source of the model which gradually spread throughout the world” (Dobbins, 2011, p. 14). Altbach also supports this view saying that before that time (emergence of the first European universities) educational institutions existed in India, China, Islamic madrassas (p.1306). 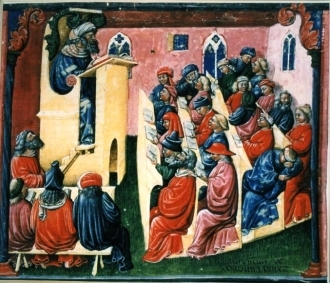 The universities of today’s model emerged in Europe in the XI century with the foundation of well-known universities Bologna and Paris. The Bologna University was established in 1088 at the time when every school was perceived according to the initiative of Frederick Barbarossa as “society of scholars”. Dobbins (2011) points out that other European countries were inspired by these most popular institutions and in the XIV century there was a great expansion of the universities. 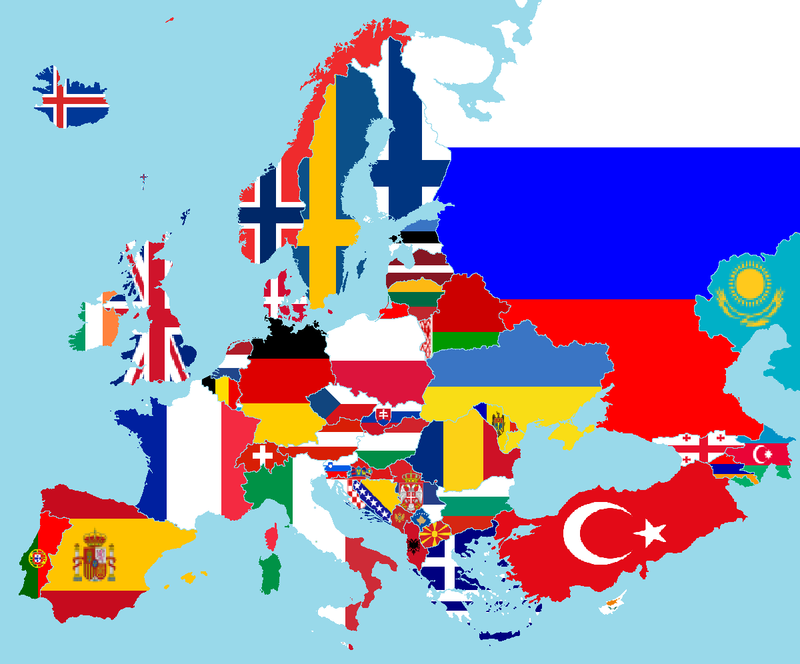 And the thing which can be perceived as surprising is the so-called “classical internationalization”. This means, students of that time could easily move from one university to another across the Europe: students could study at Bologna, continue to study at an Italian University and later work and teach in the third university. The development of HEI went along with the development of society. Great changes of that time such as the periods of pre-nation states, nation-state (emergence of nation-states, national languages, etc. ), industrial development, shift of the control to the national entities, integration of research with teaching, globalization etc. demanded and demand changes in the HEI. All of these periods have their own features and peculiarities which undoubtedly reflected in the universities’ life and continue to influence the development of the HEI. Altbach, Ph. G. (2014). The Emergence of a Field: Research and Training in Higher Education. Studies in Higher Education, 39 (8), 1306-1320. Dobbins, M. (2011). Historical Developments and Current Challenges. Higher Education Policies in Central and Eastern Europe. Transformations of the State series. (pp.13-29). Rothman, S. (2010). Visions of the university. Still divided academy: How competing visions of power, politics, and diversity complicate the mission of higher education (pp. 15-39). USA: Rowman & Littlefield Publishers, Inc.
Bologna Process in Higher Education: change or problem? It is undeniable that times changes. Every year, decade and century there are new values and new opportunities and challenges as well. Nowadays, countries all over the world should make decisions and take actions globally. Mostly, everything they do should be based on globally competitive, globally oriented and globally focused dimensions. Education is also significantly influenced by the process of globalization as other important aspects of society. As Maringe and Foskett (2010) point out: “A key strategy for responding to the influence of globalization adopted by universities across the world is internationalization…” (p. 1). Thus, the need for universities to internationalize and prepare graduates to be globally-minded individuals is the demand of our era. Consequently, Kazakhstan makes steps to be a part of the international education area, which is joining to the Bologna Process. Undoubtedly, the process of integrating is a complex picture, which has its certain advantages, opportunities and problematic aspects as well which should be understood as ways need to work on. Having read various resources, it is seen that authors have different thoughts and opinions on this topic. For instance, Kazakhstani authors Yergebekov and Temirbekova (2012) state that “novelties brought on by global obligations and the transformation of these novelties into formalities which are not implemented” (p. 1474). In other words, they reveal that meeting all requirements of the Bologna Process is challenging for Kazakhstani Higher Education. 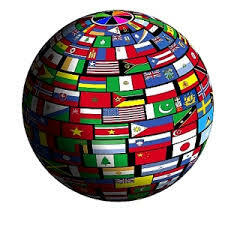 Furthermore, Altbach and Peterson report that some institutions trying to internationalize often concentrate on few initiatives, such as “offering instruction in non-traditional foreign languages or expanding study-abroad programs” (p. 28, as cited in Peterson and Helms). It means that when changing or implementing new policy in education, just facts not content or quantity not quality can play a pivotal role. However, we can see, also advantages that inclusion to the Bologna Process offer such as increasing the quality of higher education, increasing global competitiveness and competence, realization of academic student exchange programs, academic mobility, internationalization of curriculum, homogenization of degree structures, developing mutual understanding all over the world, personal and intellectual development of students. To sum up, it can be said integration of Kazakhstan to European Higher Education Area is a complex process successfulness of which depends on the deep analysis, research and strategic vision. In your opinion, what should be improved and done to foster further international education through Bologna Process in Kazakhstan? What kind of leadership is needed for this internationalized higher education? Perspectives (pp.1-10). Great Britain: Continuum International Publishing Group. Peterson M.G., & Helms R. M. (2013). Internationalization Revisited. Change, 28-34. Nowadays, for many of us, one of the highly topical and urgent things is writing our Master’s theses. We wrote proposals, read a number of books, journals, articles, and defended what we wrote last semester. Then we had a wonderful opportunity to celebrate New Year and had great holidays. Now we are starting our long and fruitful way of research. The plan of doing research and writing the findings seems to be clear and approachable, but how can we make it better and easier? How can we ensure that we are on the right way? I think, may be there are some factors that can influence the writing process. Perhaps, the choice of thesis supervisors, possessed research skills, learning environment or the choice of topic, support and encouragement of “your” people or even your inner qualities (motivation, discipline, etc.) can facilitate or impede the process. While writing this blog, the idea came to my mind: I would like to know, what are your best tips and traits for writing a good research paper? For example, some of us are good at time management, some of us effectively deal with reading materials (using mind maps, flowcharts, etc. ), others are good at writing academically using vocabulary which is appropriate for research paper, while another part of you are waiting for conducting interviews or making a survey as soon as possible. 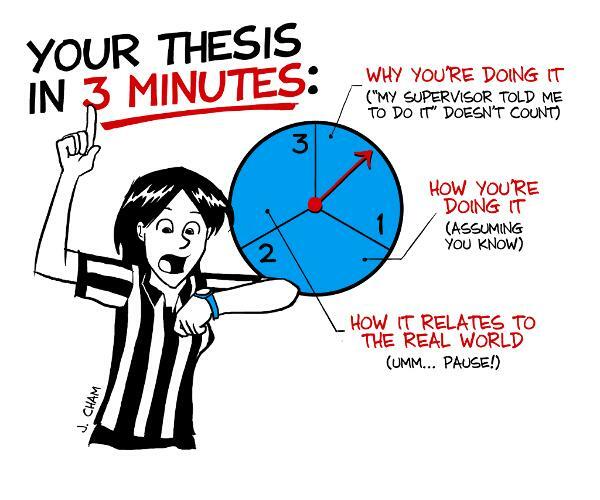 As about me, I prefer to plan my steps of writing a thesis. I do not remember exactly where I found out such tip or rule “to plan in advance in order to ensure that the task will be done on time”, but I used to use it from my school days. Perhaps, you will find it not useful and time-consuming, but I do not have any special software program or calendar, I just have my block note and write my plans for every day. Of course, it is a pleasure if I manage to do every point of the plan and write ticks in front of the accomplished tasks. However, it is not always so. This is my tip which I can share with you, which I can ensure you that this little tip really works and helps when there is real time pressure. Thanks to Dr. Sparks, our cohort of Higher Education managed to explore, to understand and think about women leaders in education: who they are, what their roles are in education and in society as well. It was a very significantly interesting topic for us because we were eager to know the inside of this “absorbing” term as we study in the major called “Educational Leadership”. In addition, the interest grew since there are only girls in the group. My goal here is to share with you, Master’s students of Educational Leadership with ideas discussed in our class and to see what you think about this, if possible. Personally, a woman leader is the woman who effectively juggles both career and family, who achieves success in the work and value family life. However, there is another idea of the authors which can be very interesting. To explore this topic we went through several stages or steps: we discussed, read and presented PowerPoint Presentations. We read a book chapter written by Grogan and Shakeshaft (2011), who stated that there is a need to redefine or to create new understanding of leadership as women leadership in education. Women leadership in education is different from other types of leadership such as transformative, managerial, …and, therefore a new definition should emerge which will totally fit to the qualities, differences, traits and peculiarities of women leaders. And there are a number of reasons to prove that: women perceive and use power differently than men, that they use power through understanding and listening. As there was said: “Women have modeled ways to use power and make change through understanding, a process that requires listening, not just talking” (p. 91). Then, what makes women leadership unique is the use of skills given them naturally as a part of being a woman, which are mothering skills (protection, support, encouragement, etc. ), and which can be beneficial in educational leadership. However, there was time, when “mothering skills were perceived less important than leadership” (p. 84). Moreover, women’s “revolutionary” approach to improve something and to change things for the better, to help others, to improve social justice are estimated as a certain difference. “As a way of making meaning in their work of leadership, women discuss their desire to make things better, to right social wrong, to increase support for underserved groups” (p. 90). 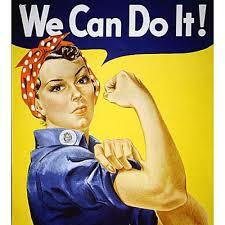 To sum up, the women leadership is a phenomenon which can be understood by people differently. How to achieve success in education being a woman is a difficult question and may be there is no sole answer that fits for all and common for all, because nowadays, we are open to everything, we have freedom, we have the right to be different. So, what does women leadership mean to you and does it exist in Kazakhstan?